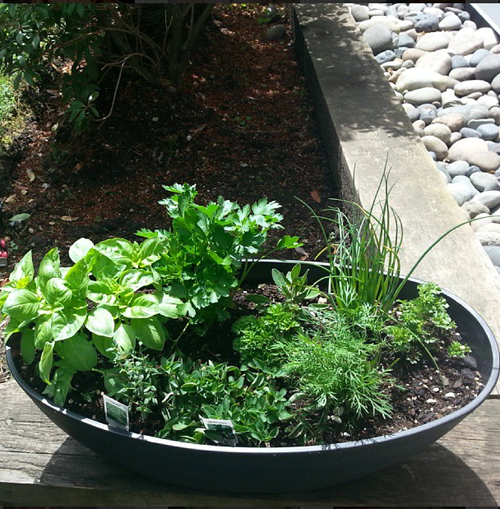 Leanne bakes: The Side Dish: How Does Your Garden Grow? The Side Dish: How Does Your Garden Grow? Like, all the time. Not for fun, of course, but just because I can't seem to do anything else to them. The lone exception is this one cactus that has kept on trucking for the past few years, despite my sporadic bursts of water and affection. He's a real champ. 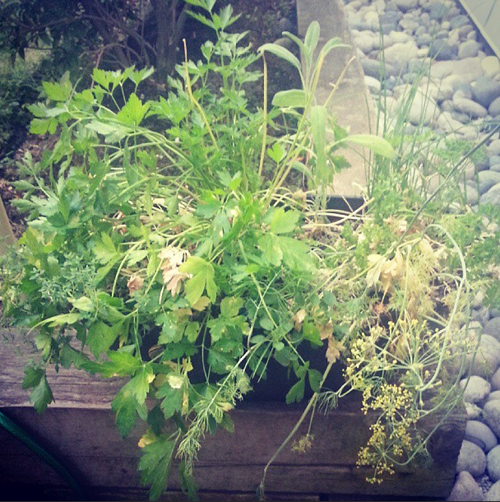 Unlike my herb garden here, which was lovingly gifted my way from my mom (thanks, Mom! Sorry, Mom!) in perfect, healthy condition. We lived in harmony for several weeks, until my true plant-slaying nature shone through. I'm not really sure where things began to take a turn for the worst. Maybe it was the bugs that ate all the basil. Maybe it was the italian parsley that grew at abnormal rates. Or maybe it was that I forgot to water it, because when you live in a climate that snaps from every day rain to every day sun in the blink of an eye, it can be a strange adjustment. Like when I straighten my hair and forget that straight hair needs to be brushed, so it just sort of puffs and tangles from neglect. Regardless of where I lay the blame (it's on me, hands down), this is the garden now. I don't even know what I'm forgetting to water anymore. Is it weeds? What's the yellow flower thing wilting alongside the browned parsley? Why did some grow strong while others succumbed? If I eat it will I die? Nature leaves this city girl with so many questions. So this is the part where I humbly ask for your help... what can I do to get this little herb nest back into shape? More water? More pulling out of the things? I've already started to pluck out some of the brown bits, and although some little spiders were very unhappy with their extreme home makeover, at least it isn't as much of an eye sore. 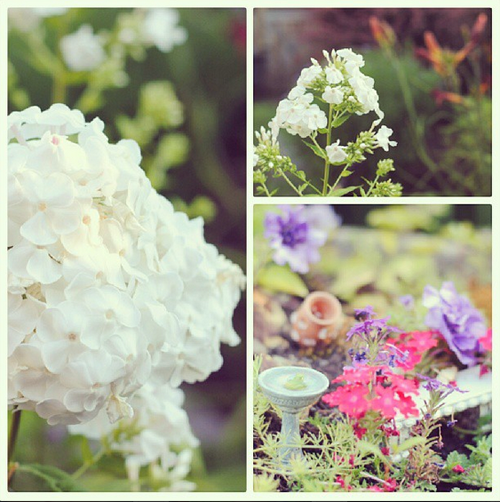 Want to keep tabs on my garden progress? Join me on Instagram!